Kylie Jenner took to Instagram over the weekend to seemingly respond to news breaking that she's pregnant -- and she did it in the most sly way possible. 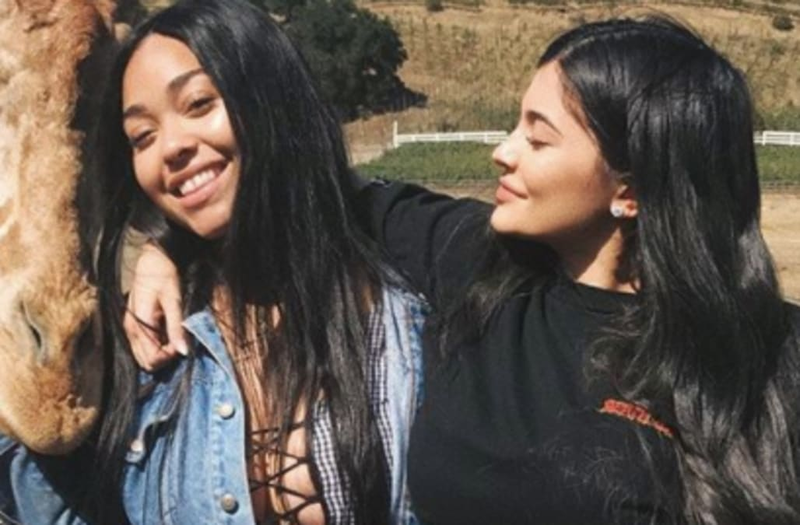 Jenner, 20, celebrated her best friend Jordyn Woods' birthday on Friday at the Malibu Wine Safari, the same day that reports surfaced that she was expecting her first child with her rapper boyfriend, Travis Scott. Instead of publicly confirming -- or denying -- the countless reports, Jenner simply shared a photo of herself slightly lifting up her shirt to reveal part of her flat stomach. The star is reportedly four months pregnant, and she definitely isn't showing yet. Though she's clad in a baggy black tee and loose-fitting red sweatpants, it's still pretty clear that Jenner doesn't have a visible baby bump. In another shot from the weekend, the "Life of Kylie" star is seen posing with her girlfriends in a short silk robe that isn't as loose-fitting, but she still doesn't seem to be showing. Jenner, who only started dating Scott in April, was also seen supporting him on Saturday in Las Vegas, where she was photographed wearing an outfit similar to the one she wore on Friday: Sweatpants and an oversized t-shirt. See more on that outing in the video above. SEE ALSO: Kylie Jenner couldn't wait to have kids 'someday' in 2013 -- watch! Nobody in Kylie's family has confirmed or denied the rumors. At a show at Milan Fashion Week over the weekend, though, her mother, Kris Jenner, was asked about the newly-surfaced reports that her youngest child was pregnant, and Jenner remained coy about the topic. “It wouldn’t be the family if something didn’t happen every single day," she said.